The F050 is a straight forward pressure indicator with large 26mm (1") high digits. The measuring unit to be displayed below the pressure is simply selected through an alphanumeric configuration menu. The F053 is a versatile pressure indicator with continuous pressure monitoring feature. It offers the ability to set one low pressure and one high pressure alarm value. The F151 incorporates two completely separated pressure indicators in one enclosure. 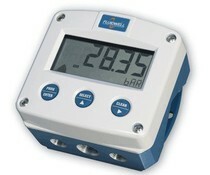 There is no relationship between the inputs, even different measuring units can be used. The F153 is a versatile pressure indicator featuring continuous pressure monitoring. 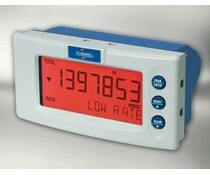 It offers the ability to set two low and two high pressure alarm values.